Shradha Ghale’s ‘The Wayward Daughter’ is a unique debut that unravels stories of Kathmandu and beyond. Sumnima Tamule, the central character in Shradha Ghale’s novel The Wayward Daughter, is a lucky girl. Her parents have worked themselves up into the middle-class circle of Kathmandu. Content with two daughters despite familial pressures for a male heir, Gajendra and Premkala Tamule ensure that Sumnina and her sister, Numa, attend the posh Rhododendron Girl’s School. Sumnina has the luxury of her own room. She is let off household chores as she prepares for her School Leaving Certificate. All of which make her a fortunate teenager. At least her parents think so. In a few unassuming sentences, Shradha has managed to condense Sumnima’s adolescent angst, her search for identity, and the constant need to fit in. The hypersensitive teenager is held back – in her mind and in reality – by her caste, limited resources, an expletive-mouthing grandmother, sundry coarse relatives, and later on, a lop-sided romance. Early in the novel, we learn of how something as simple as a lunch box sets her apart. Her mother packs haluwa, a traditional sweet dish, for her lunch. Sumnina considers haluwa to be prasad for the gods, not fit to be opened in front of her classmates who bring in spaghetti and sandwiches in hot cases. Incensed at the ordinary lunch and her unyielding steel tiffin box, she throws the whole lot into a dustbin. At home, her bravado is rewarded with a tight slap. One incident, so many repercussions, such undercurrents. The novel flows along in a beguilingly simple and straightforward manner. Like thousands of others in Nepal, a family descends from the rural hills, and struggles to find a foothold in the capital city. While Sumnina is the protagonist, her family’s back stories form the novel’s essence. The anecdotes about her grandparents, parents and a colourful cast of relatives are riveting. The author is the queen of descriptions. Her details are elaborate, and very satisfying. She misses nothing – accents, superstitions, ramblings, vendetta, undertones. Take, for example, Sumnima’s mother describing a Nepali dish to a foreign couple, in her ‘Nepanglish’. Everyone who has struggled with English as a second language will relate to this exchange. Nepalis, even more so. In this and many other ways, Shradha has been honest to Nepali life and its peculiarities, presenting them exactly as they occur. In unpretentious but rich prose, the novel also attempts to dissect caste issues, hierarchies, injustices and ingrained discrimination and prejudices. The author has even invented the ‘Tamule’ tribe to unabashedly expose caste hierarchies that exist in people’s hearts and actions. There is a danger of non-Nepali readers being unable to connect to minute nuances and undertones. But Shradha has mentioned in her interviews that this was a conscious choice – to be true to the representations of her community, her experiences and observations. And in this, she has succeeded. The locales in her novel, whether the rough hills or dusty Kathmandu, have been painted with their exact colours. Her characters, chosen from an array of backgrounds and personalities that do not often occupy centrestage in Nepali literature, are living, breathing creatures. A host of Nepalis have experienced every scenario and incident she mentions. Indeed, readers will find it hard to suppress a smile when they come across English words Nepalis have adopted – ‘gilsin’ (glycerin) ‘delicate’ (dedicate) this song, ‘tyape’ (junkie), ‘chibistik’ (chapstick). The splendidly arranged novel is let down by its ending. As readers become more and more involved with the shy Sumnima, they look forward to closure that is as gripping as the opening. But the novel ebbs and fizzles down to… what? Certainly not the glorious coming-of-age climax that the story entices us towards. Readers of other nationalities are likely to resent the lack of translations of Nepali (and sometimes other languages) words strewn throughout. Sentences soaked in the culture and dialect – “the phedangma slaughtered a pair of hens before the couple’s eyes and drained the blood. Still chanting the Mundhum, he dipped a stick in millet liquor, touched it to the couples’ heads and made the groom tie a coin to the end of the bride’s shawl,” can either lure readers to love the novel, or exasperate them enough to drop it midway. Readers intimate with Nepal, meanwhile, will be left befuddled by the fragmented representation of the socio-political happenings Shradha has worked to incorporate. While the novel makes a big deal of it being set against the civil war, there are no more than stilted passing references. Nepali writers writing in English have frequently used the country’s villages and cities as their setting. But Shradha’s Nepal carries with it something different from the others, a soft, earthy, tender quality that no one else has managed to capture. There is a lot of love spilling over for the land, and an equal amount of dissatisfaction, mild anger even, that is articulately expressed. It is reminiscent of a soothing novel, Fragile Mountains, by M.K. Limbu. More importantly, it reminds us why diversity is so important in literature and the arts. 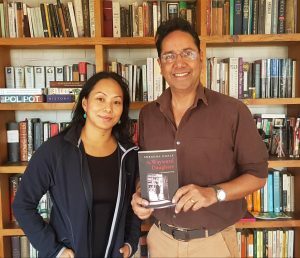 Shradha brings a unique tone and shade to Nepali writing in English that is a pleasure to delve into. 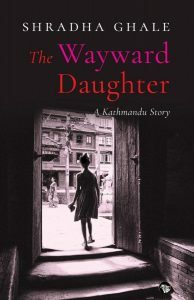 The Wayward Daughter is recommended for an exploration of Nepal over the past few decades through the eyes of a perceptive and skillful writer. 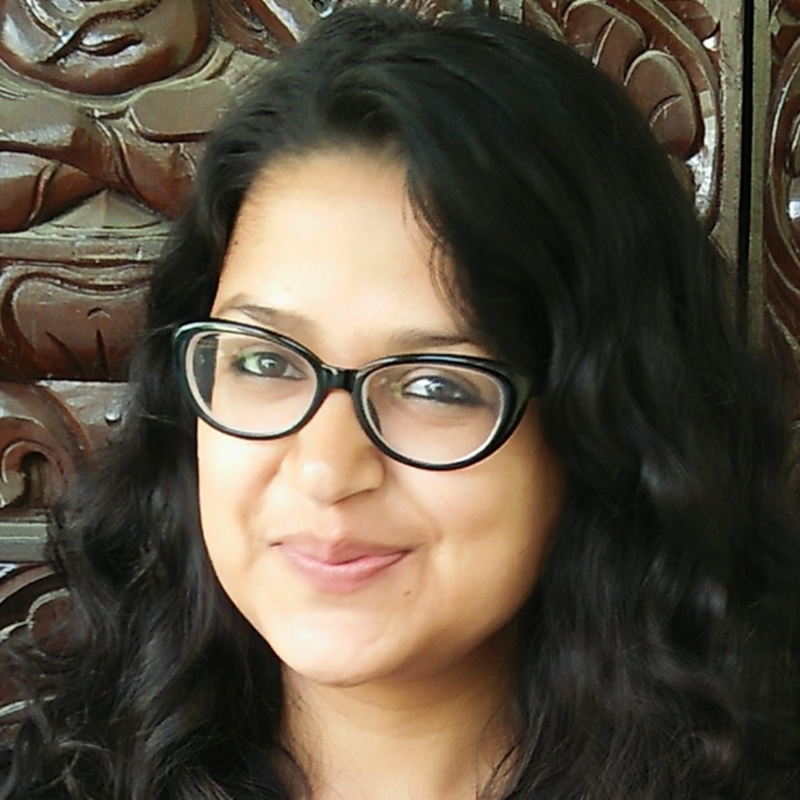 Richa Bhattarai is the author of Fifteen and Thr3e Quarters, a collection of short stories published in 2011. She writes a fortnightly book review column, ‘Page Turner’, for The Kathmandu Post and tweets @15n3quarters.